Three Bear Waterpark and Cragun’s Laser Tag also provides state-of-the-art fun with over 18 family-friendly redemption games. We provide a great variety of FUN games with worthwhile prizes to win! 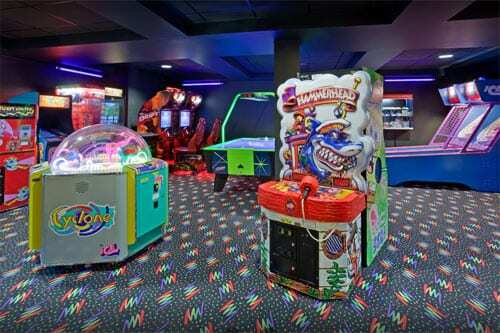 Swipe your FUNcard to play Laser Tag and Arcade Games, plus earn e-tickets to win great prizes. Points can be split into multiple cards. Friday – 4pm-11pm. Saturday – Noon-11pm. Sunday – Noon-9pm. $28 for each additional party goer! $38 for each additional party goer! $24 for each additional party goer! Let us know if you would like any additional FUNCards for the group or additional food options for your party!